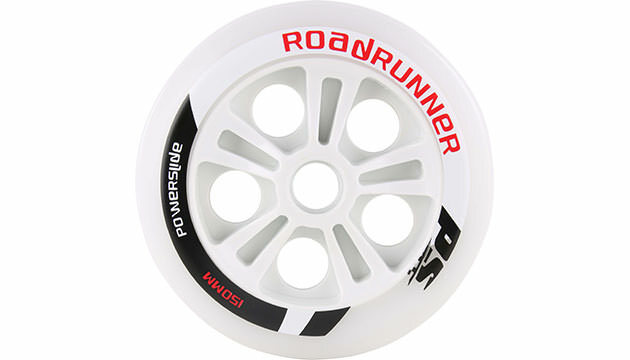 The replacement wheel Roadrunner (solid rubber) fits Powerslide Nordic Trainer and Powerslide Cross Trainer. The spacers are included with the wheel. The Roadrunner wheel gives you more speed but less break power and less grip on the ground compared to the regular Powerslide Nordic wheels with air tires. Please note: For installation you can take the bearings of your regular air tires of just get 8 extra bearings to have a complete wheel that just needs to be switched without much installation time. This would make much sense if you want to change tires regularly.